In this free cake decorating blog tutorial, you will learn how to use chocolate transfer sheets for a simple yet elegant look! 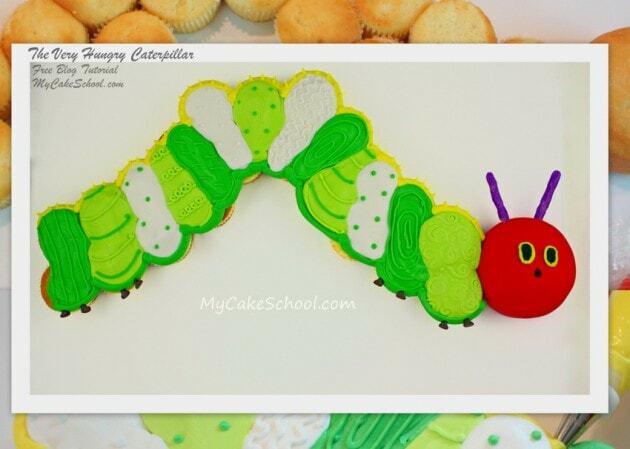 In this free cake decorating tutorial, learn to make an adorable Very Hungry Caterpillar Pull-Apart Cupcake Cake! MyCakeSchool.com. Learn how to make “little cupcake” cupcake toppers using peanut butter cups in this BLOG tutorial! 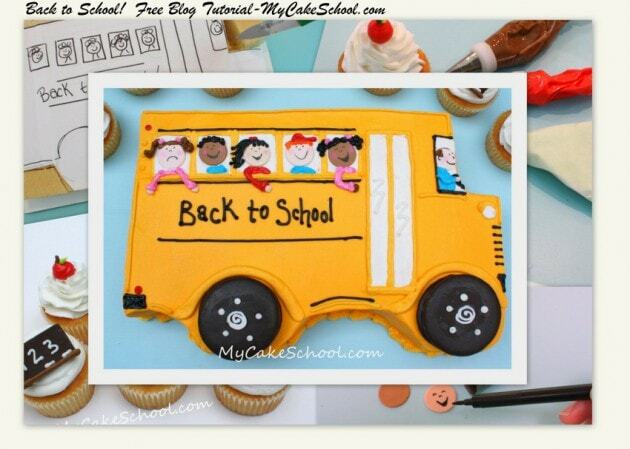 Learn to make the most adorable Back-to-School themed cake and cupcakes in MyCakeSchool.com’s free cake tutorial! 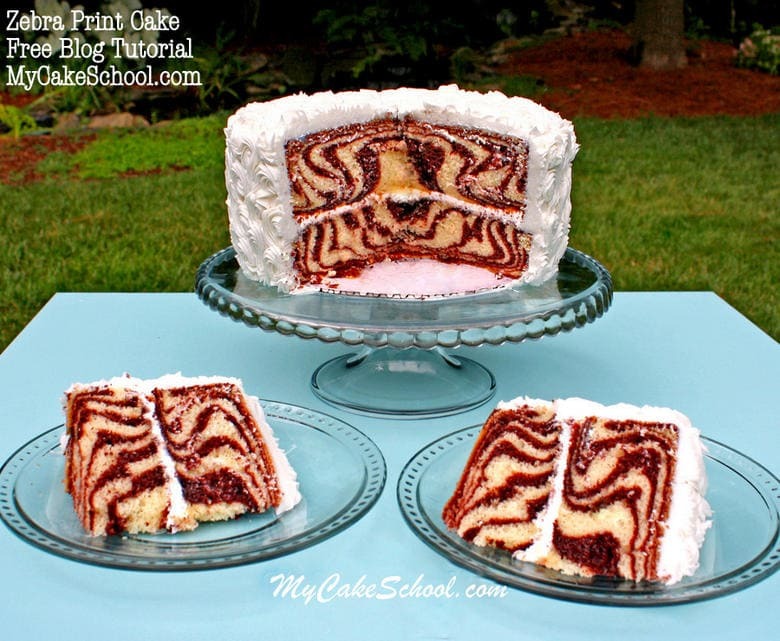 Learn how to make a cake with zebra stripes on the inside in this free My Cake School cake decorating tutorial! 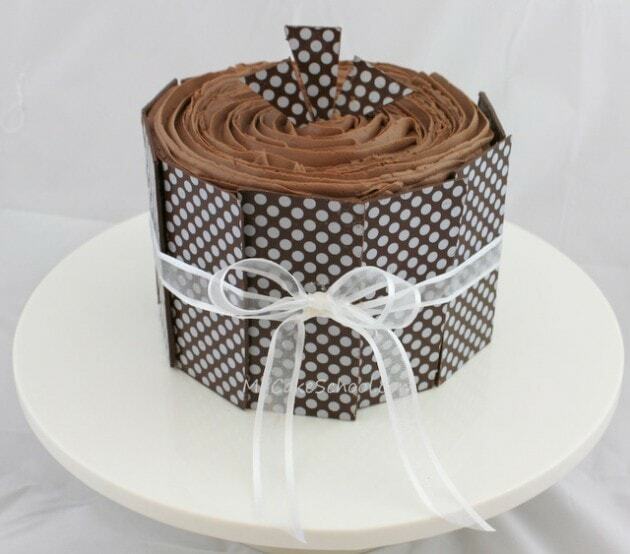 This zebra cake is SO easy! 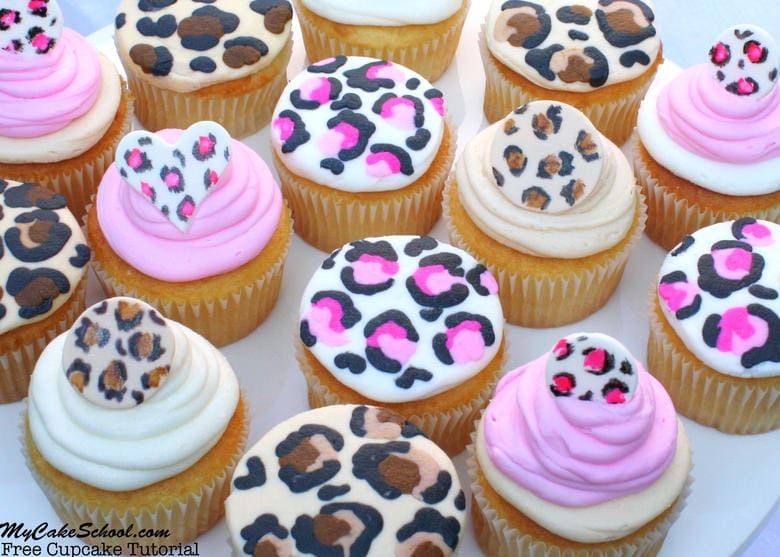 In this free cupcake blog tutorial, you will learn how to make leopard print cupcakes! 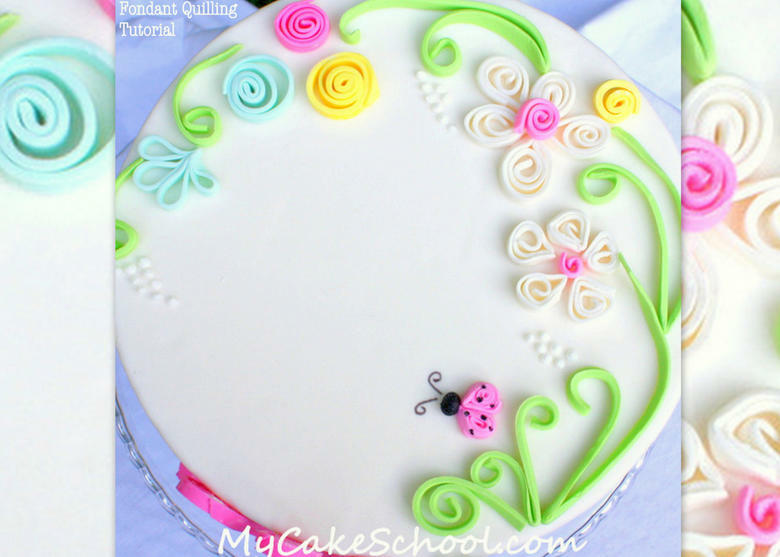 In this free cake tutorial, learn this simple fondant quilling technique for beautiful cakes! My Cake School online cake classes and recipes! You will love these coconut “drinks” mini cakes–they are perfect for luau and beach themes! 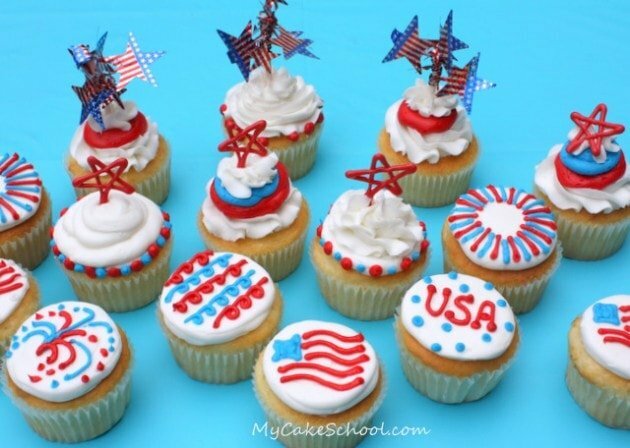 CUTE Fourth of July Cupcakes with buttercream and candy coating accents! 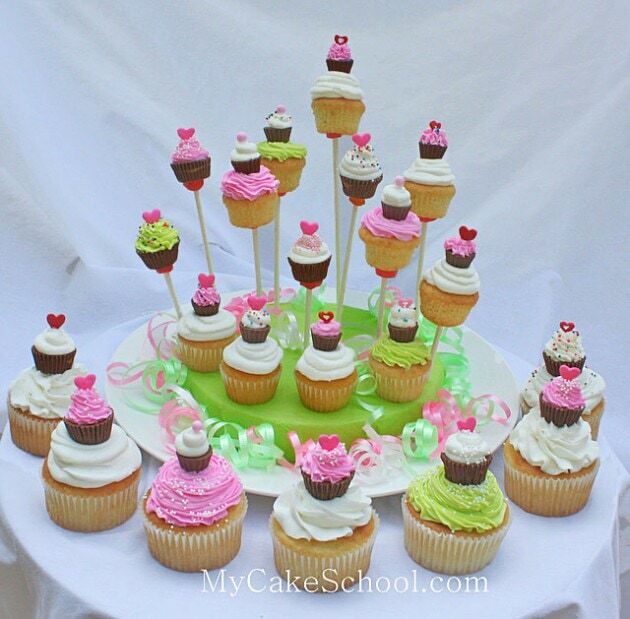 Free cupcake tutorial by MyCakeSchool.com! Perfect for July 4th parties! 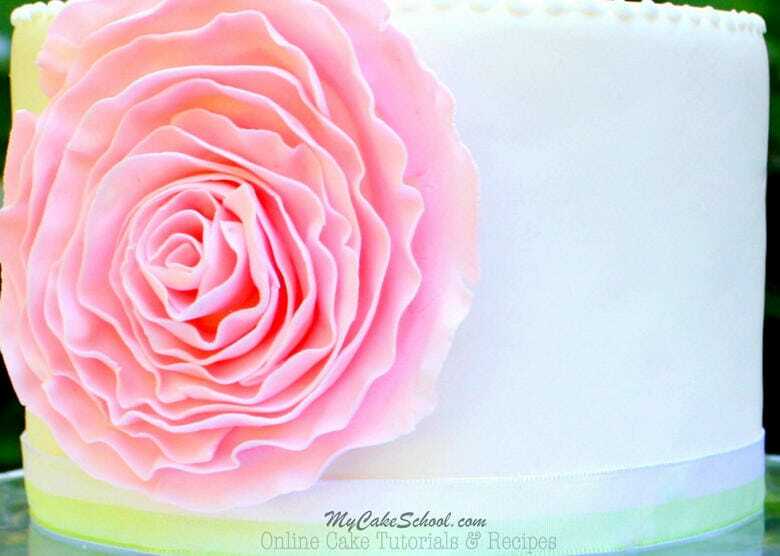 Beautiful Fondant Ruffle Rose Cake Design by MyCakeSchool.com! Free step by step cake tutorial! MyCakeSchool Online Cake Classes and Recipes!